Pts Cropshop is a creative Prestashop theme dedicated designed for Fashion & Sport website. The theme includes multiple layouts and styles for each page: 3 Home page layouts, multiple shop layouts, multiple header styles and number of CMS pages to build powerful eCommerce website. 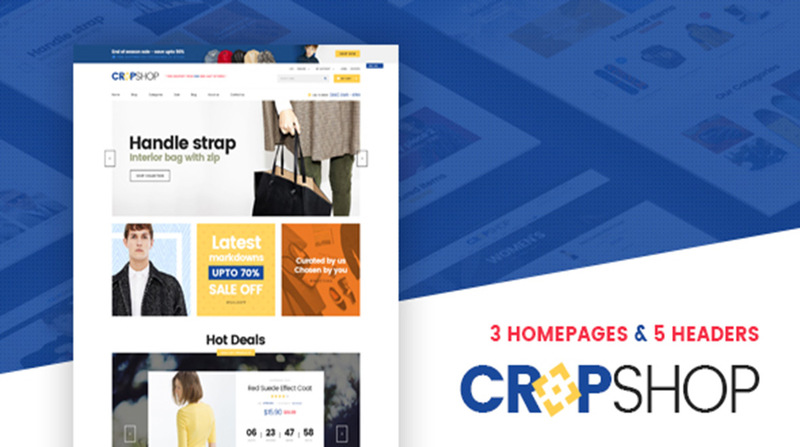 Pts Cropshop is based on powerful Prestashop Framework – Pts Framework and the best Drag & Drop Prestashop page builder to build stunning pages in minutes. The Fashion Prestashop theme has its own theme control panel with core features & tools built-in: Theme setting, megamenu builder, live theme editor, CSS development, compression, etc. You can customize the theme style real time based on the predefined parameters, no coding is required. The theme is optimized with CSS & JS compression and clean code base to help improve performance of your website.